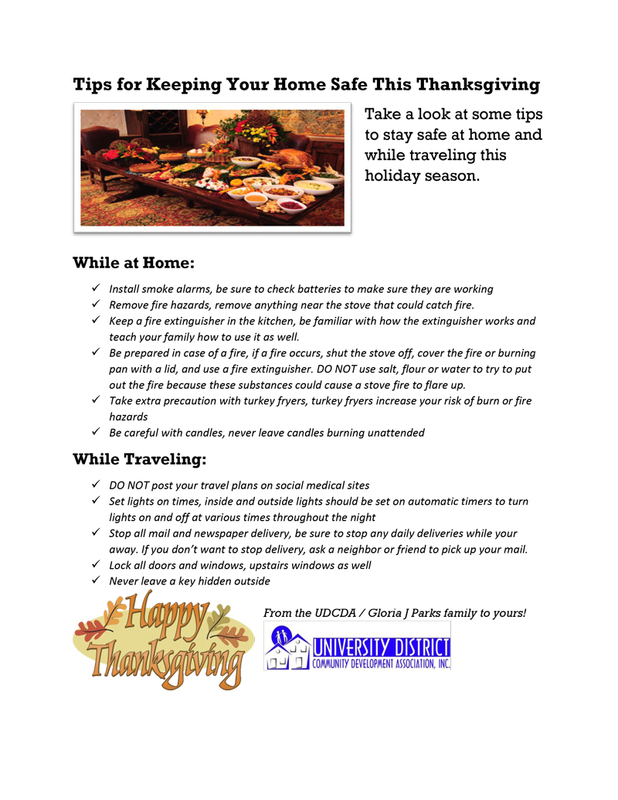 Whether you’re staying home or traveling this holiday season, the staff at the UDCDA have put together some helpful tips to keep in mind you, your family, and your home safe. Remove fire hazards, remove anything near the stove that could catch fire. Keep a fire extinguisher in the kitchen, be familiar with how the extinguisher works and teach your family how to use it as well. Be prepared in case of a fire, if a fire occurs, shut the stove off, cover the fire or burning pan with a lid, and use a fire extinguisher. DO NOT use salt, flour or water to try to put out the fire because these substances could cause a stove fire to flare up. Stop all mail and newspaper delivery, be sure to stop any daily deliveries while your away. If you don’t want to stop delivery, ask a neighbor or friend to pick up your mail.